We want you to have the best sipping experience possible so we’ve put together some of our favourite tips and tricks that we’ve collected over our years of experimentation and guzzling. Enjoy! We provide the blends, teas and recipes but you are free to drink your tea whichever way together you’d like. Make your Elixir as strong, spicy, or sweet, because taste buds are like snowflakes, not a one-size-fits-all pair of spandex shorts. 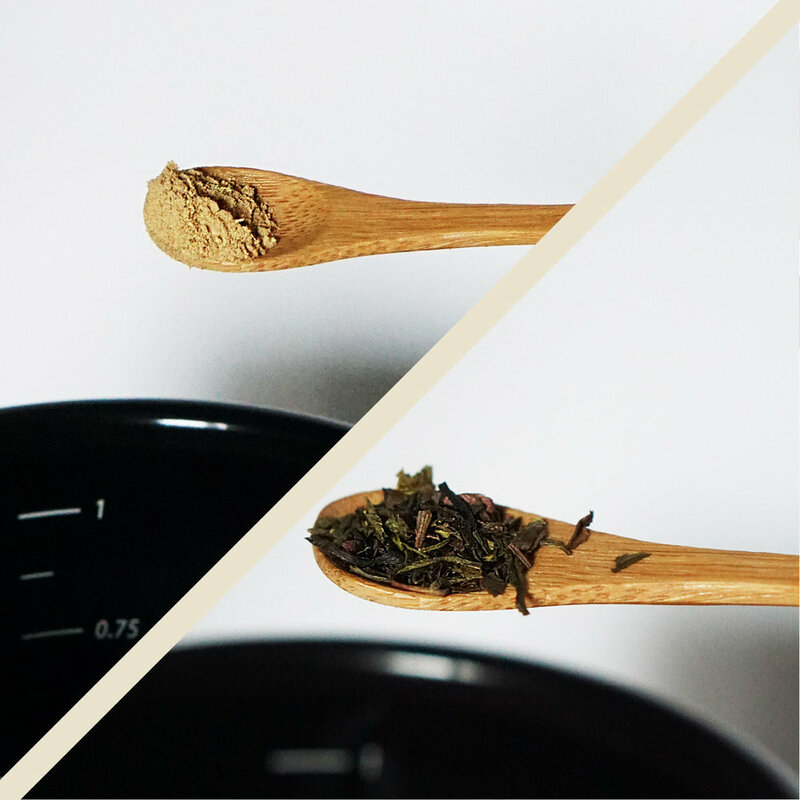 Put 1-1.5 bamboo spoon of your blended tea into a tea bag, then into your favourite mug. POUR HOT (not boiling) WATER into your mug and let steep for 2-3 minutes. Add your favourite sweetener if you’d like. DRINK your tea. Smile. Dance. Write a love letter. Live your life. Most tab water is good for drinking however we recommend using water filtered with a good activated carbon due to chlorine levels in tab water, for optimum taste. Available online. For when you want to drink Chai Ami’s way, follow the instructions below. IN A PAN: boil 220ml of water with 1 ½ - 2 bamboo spoon of your chai blend. ONCE IT’S BOILING: add 40 ml of milk, lower the heat for a few seconds, then give it 1 more boil. TURN OFF STOVE*: remove from heat, sieve through into a mug, add Jaggery (recommended indian raw sugar) to taste, and enjoy! *Ami’s Pro Tip: If you really enjoy the taste of tea we recommend after turning the stove off, cover the pan and let it steep for 2-3 minutes in the pan before sieving it into your favourite mug! IN A TEA BAG: place 1 ½ - 2 bamboo spoon of your Chai blend. IN A MUG: pour 40ml of milk (or to taste), add your tea bag, and 220ml of boiling water. DRINK. We recommend adding ½ bamboo spoon of jaggery (Indian raw sugar) or your favourite sweetener, if you’d like. No Milk? Use only 1 spoon of the Chai blend, and 240ml of water instead of 220ml, and steep for 2-3 minutes. Milk Alternatives? All our Ami’s chai can be enjoyed with any milk alternatives. From Soya, to oat, to almond and even coconut milk. Blend some ice in with your Chai or simply add ice cubes! Drink, enjoy, take up knitting, go about your day and make it a good one. Wait, what in the name of all that is coffee are you trying to put into my mug? What is this “dirty chai”? Can I even safely google it without getting in trouble? If you’ve never had a dirty chai, you're in for a treat. Dirty chai is the delicious thing that happens when you add an espresso shot in your chai. 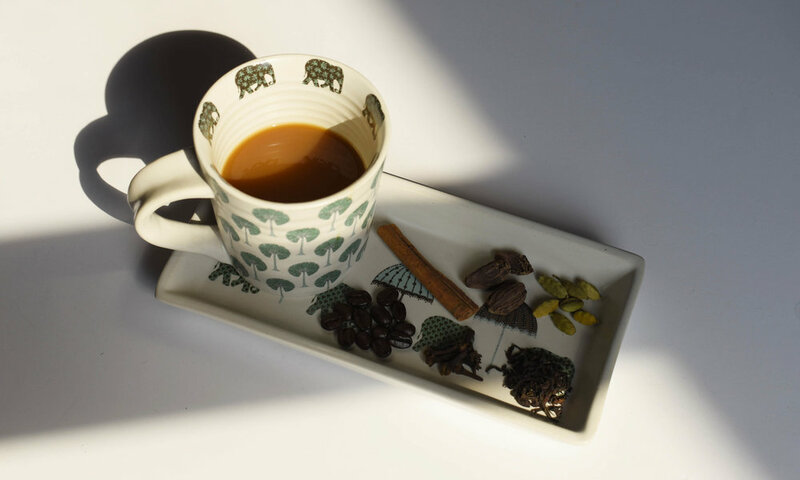 Just follow the above steps to make Ami's chai, add a shot of espresso and enjoy! These quantities are only guidelines! Make your drinks as strong, spicy or sweet as you’d like. Ice, ice, baby! Once you’ve made your favourite Madn77 drink, try adding ice, even blend it if you’d like. It’s the perfect treat for those hot summer days. Not a milk drinker? Not a problem. Your favourite milk alternative will taste just as great subbed into any of our recipes so you can have it your way. Teas/Chai's/Matcha containing theine, we don’t recommend drinking it after 16.00 so it won’t affect your sleep. Have a tip or trick of your own you’d like to share? Get in touch at hello@madn77.com.